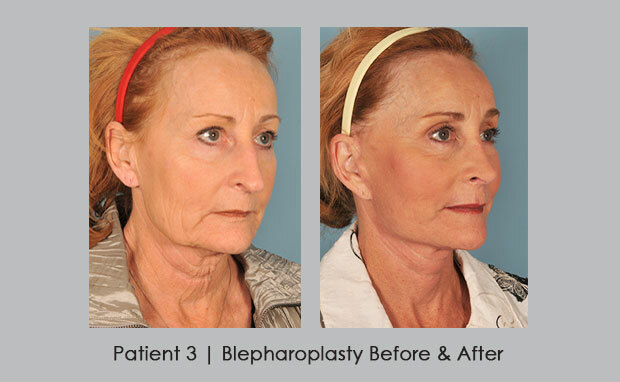 Patient #3 combined having 3 facial plastic surgery procedures done at the same time. 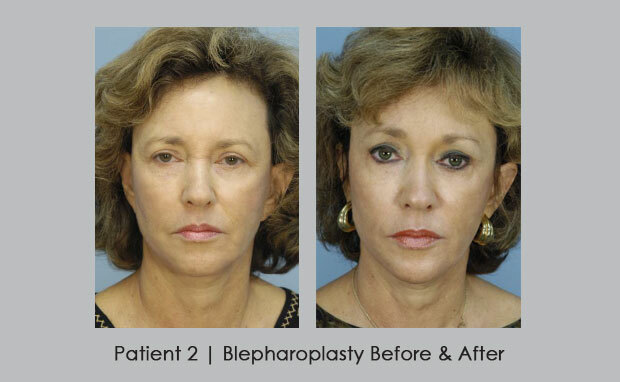 Dr. William E. Silver performed an eye lift (blepharoplasty) which gave her upper eyes definition. He also re-shaped her nose with rhinoplasty (nose reshaping). She had a full face lift that also lifted and smoothed out her neck area and got rid of her jowls. Patient was thrilled with her new younger looking face. Dr. Silver highly recommends combining multiple facial surgeries by having them done all at the same time. Why spend extra days recuperating from facial plastic surgery when you can do all and heal at the same time. Generally, healing time from all 3 procedures would take about the same time as only doing one. Also, patients benefit from not having to pay multiple surgery room and anesthesia expenses. The nose is the center point of your face and the eyes are an important focal point of your facial features. The eyes also tend to be the first area to show signs of facial aging. The skin around the eyes sags, wrinkles, and droops making you look tired, sad and aged. 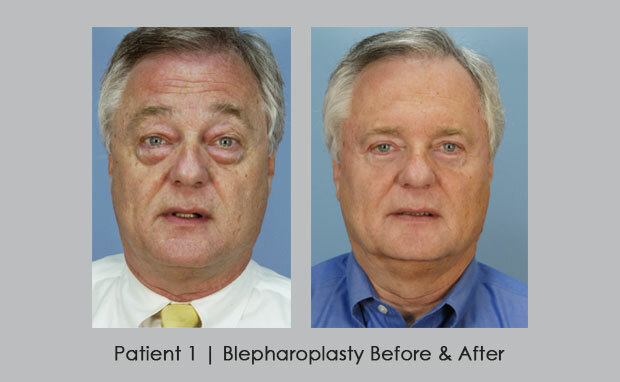 Blepharoplasty, commonly called eye lift or eyelid surgery, reverses this appearance. Excess skin and possibly fat is removed from the upper and/or lower eyelids, removing heavy lids and the baggy appearance from under the eyes. Natural creases appear more open and inviting, and you will look more awake and rejuvenated. 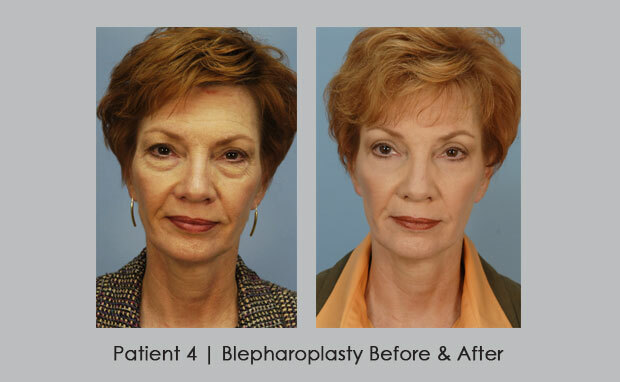 Patient #4 had upper and lower blepharoplasty with Laser Resurfacing to eyelids.